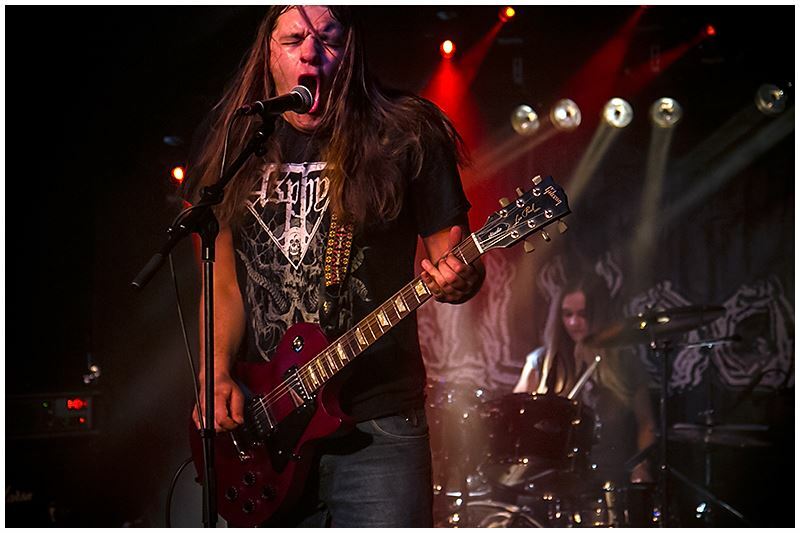 Hellhookah is a Lithuanian two-piece band formed in 2012 by Arnas (guitars/vocals) and Gintarė (drums). Band have started playing live in the January of 2014. In 2016 Hellhookah signed with independent U.S. label NoSlip Records to release their debut album “Endless Serpents” on CD and 180g LP. Since 2016 band has played many shows at various gigs and festivals around Europe including Germany, Netherlands, Belgium, Austria, Switzerland, France, Finland, Croatia, Czech Republic, Slovakia, Hungary, Poland, Ukraine, Estonia, Latvia and Lithuania. Now Hellhookah is also working on their second album and booking new tour dates. Hellhookah does not like to frame their music but the sound has major influences of oldschool metal and classic rock music. Lyrical themes are based on life experiences and trials on planet Earth, while sometimes reaching heights of the skies.